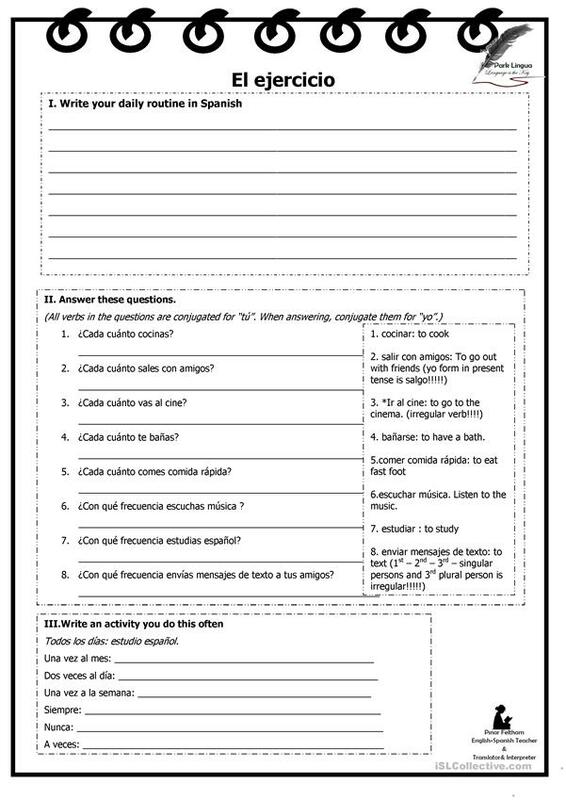 I prepared this worksheet especially for esl students or/and english speakers since some explanations are in English. 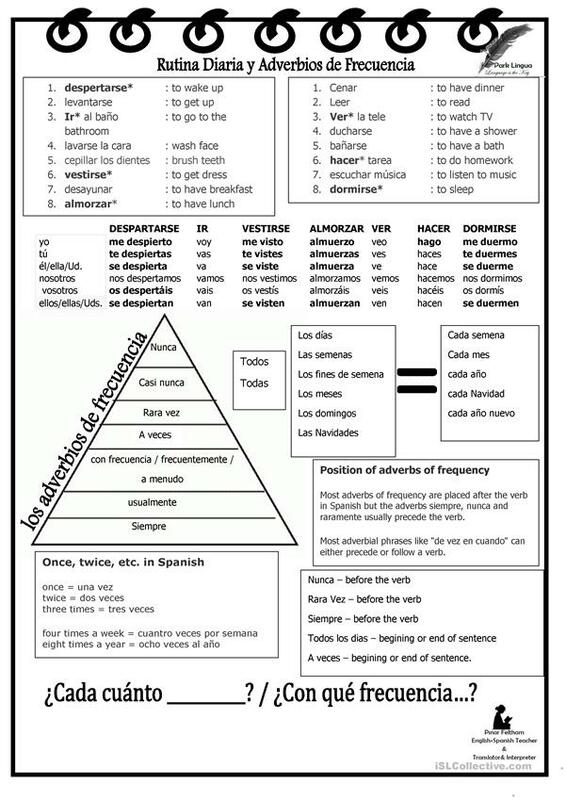 Yet I think its easy for students to understand Spanish adverbs and daily routine. The worksheet is also apply to reflexive and irregular verbs congugation. Hope you'll enjoy it. muse is from/lives in and has been a member of iSLCollective since 2010-12-01 15:40:26. muse last logged in on 2019-04-09 13:36:27, and has shared 63 resources on iSLCollective so far.